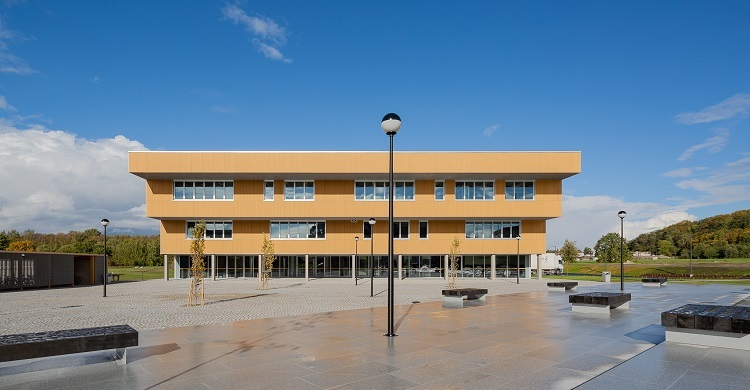 The award for the best glued laminated timber building and people’s favourite went to Viimsi State Gymnasium. Architecture: KAMP Arhitektid (Jan Skolimowski, Peeter Loo, Kaspar Kuuse, Maie Raud). General designer and designer of engineering parts – Novarc Group. The 2nd and 3rd floors are built in prefab CLT (cross laminated timber) panels. The Best Timber Building 2018 competition was organised by the Estonian Forest and Wood Industries Association.